Founded by Richard H. Lynch in 1949 with the desire to provide exceptional legal services to the residents of Fairfield and New Haven counties, the law firm of Lynch,Trembicki and Boynton has remained a steadfast, solid entity in the Connecticut legal community for more than 60 years. With our multi-disciplinary approach, our attorneys are able to formulate innovative strategies and develop complete solutions to your legal issues. We can help you with: -Criminal defense -DUI -Real estate -Personal Injury and Medical Malpractice -Planning -Land use -Zoning -Divorce -Domestic relations -Municipal law -Education law -Elder law -Employment -General practice probate -Workers compensation Attentive to our clients' needs Our attorneys attentively listen to your concerns, clearly explain our legal strategies and immediately respond to your questions. We encourage open communication so you always know the status of your case and feel confident that your legal issues are being expeditiously and effectively resolved. Because experience and integrity count Our firm has received the highest ranking (AV) which is issued by LexisNexis / Martindale Hubbell Law Directory based on peer review rating. We are proud of this distinction, reflecting the high regard our firm and it's attorneys are held by other members of the legal community. All of our attorneys are lifelong residents of Connecticut and active members of our community. We take pride in advocating for our neighbors and thereby building a stronger community. We carefully analyze each case and devise solutions geared toward achieving the best outcomes in the most cost-effective, time-efficient manner possible. We focus on achieving immediate results that satisfy your long-term objectives. When experiencing the heartbreak of divorce, you want a competent, assertive attorney by your side to advocate for your rights and protect your family. For more than 60 years, Lynch, Trembicki and Boynton has helped families understand their legal options and guided them toward solid solutions. Our dedicated team of attorneys can help you with all aspects of your divorce, including: -Child custody -Child visitation -Child support -Spousal support -Paternity -Modification of child support -Property division Child custody For any parent, child custody is the most heart-wrenching aspect of divorce. Our attorneys advocate for your parental rights so you can raise your children in a fit, caring home. Child visitation If you are the noncustodial parent, divorce should not force you to miss the important milestones in your children's lives. Our attorneys ensure you are given the opportunity to spend the quality time with your children required to encourage their strong growth and development. Child support Both parents share in the responsibility of raising children. Our attorneys uphold your children's right to receive the financial support required for a healthy, happy upbringing, while ensuring that the financial burden is divided fairly between both parents. Spousal support Getting divorced is difficult, but it should not lead to a financial crisis. Our attorneys help establish fair and equitable spousal support, allowing you to continue to live as comfortably as before your marriage ended. Paternity Our attorneys understand the unique role science plays in child custody, child visitation and child support cases. A positive result can help you prove your fatherhood so you can reunite with your biological children and affirm your claim to custody and visitation. A paternity test can conclusively prove you are not the father of a child so you can avoid a lifetime of unfairly paying child support. If you are a mother seeking child support, we guide you through the complex court proceedings to legitimize an unwilling father. Modification of child support Sometimes the unexpected happens a lost job or a sudden injury yet you remain obligated to pay child support despite your changed financial circumstances. In other cases, your former spouse receives a huge financial windfall or promotion, which should contribute toward your children's upbringing. Our attorneys can successfully obtain a modification of your child support order so your children's financial support is more fairly shared between you and your former spouse. Property division Through mediation or litigation, we seek to obtain the best possible settlement or judgment for our clients, including fair distribution of assets, equitable allocation of martial debts and division of the marital home. Atty. 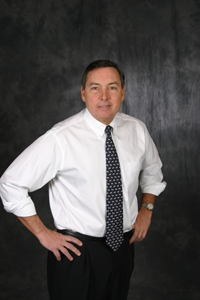 Thomas Lynch concentrates his practice in the areas of Commercial Real Estate; Residential Real Estate; Zoning, Planning and Land Use; Criminal Litigation, Estate Planning and Administration; Family Law ( divorce, custody and support issues) , general Business and Corporate Law and Education Law . He represents clients in civil and criminal matters in Connecticut Superior Courts , and has argued appeals to the State Appellate and Supreme Courts. He regularly appears before Zoning and Land Use Boards throughout Connecticut on client's behalf. Atty. Lynch is a lifelong resident of Milford . He has served as an Assistant States Attorney in New Haven Superior Court, and was recently appointed to the New Haven Judicial District Attorney Grievance Committee. He has been active in the community, serving on the Milford Board of Finance, Chairman of the Milford Charter Revision Commission, as a Division Chairman and Founders Club member of the United Way of Milford, a Director of the Milford Chapter of the American Red Cross , and a Corporator of The Milford Bank. With over thirty five years of practicing law in Milford, he prides himself on his close personal relationship with his clients, and attentive response to their needs and concerns.